SMTP service/ Email marketing. Free trial. Pay with Bitcoin. A great tool to run excellent email marketing campaigns! Pros: Kingmailer is an excellent tool to run innovative and customizable email marketing campaigns. You can easily create great email marketing campaigns to increase the conversion rate. It is super easy to use with a great user interface. If you're low on budget, you can use this tool to create low-cost email marketing campaigns with high conversion rates. Cons: The spam filtering tools can be made more powerful. It is not as efficient as the big players in the market but, still, we can ignore this fact while considering the low cost they're charging. Once, my important mail sent into the spam box, so this should be improved. Overall: I have many email marketing campaigns for my company with a good conversion rate. This is an excellent tool to use at such a low price. I would recommend this tool to startups and small businesses out there! Pros: Very simple to navigate. Easy editable templates for email campaigns, Great reporting options with downloadable features. Awesome product for the NON TECH savvy person looking to utilize technology. Cons: We haven't found anything yet. Once we figured out with alot of customer services help there really weren't any issues we have experienced. Pros: Works without problems and is affordable. Cons: Nothing. Have not had a bad experience with them. Easy to use mailing software, with superb and proactive customer support. Excellent value for money. Pros: Very user-friendly interface. Also optimized for smartphones, very handy. I use my own custom made html-template, which is very easy to import. The support is very good. Not only about technical and legal issues (unsubscribe) but also about best practices on e-mail campaigns and follow-up on results & how to do better. Haven't encountered any problems yet. If I couldn't manage something quickly, the customer support did it for me, and instructed me how to use the software. Overall: Kingmailer allowed me to reach my customer and prospects better in easy and fast way. Easy to use, Intuitive, value for money! Pros: They have free version that allowed us try their platform. The setup was very easy, and creating a campaign was very easy too. It took us a few minutes to get everything up and running, after that we upgraded to a Pro version. Cons: Their free version only has max. 800 emails, but all features are available to use and to test, after that you can upgrade. Lots of newsletters for a little money, good support. Pros: It's practically the same system I used to as in my previous program. Very easy and fun to work with, but now much more beneficial. Cons: I encountered some startup problems but thanks to the support team, the problems were resolved quickly. My questions and advice can be mentioned in the chat room. The answers are not direct, but it does not take long before I receive a reply via my email. Pros: Kingmailer is one of my favorite email marketing tool. Easy to use, perfect for low cost marketing needs. Cons: Great Tool. Nothing Bad. Love this tool for fast and bulk email marketing. 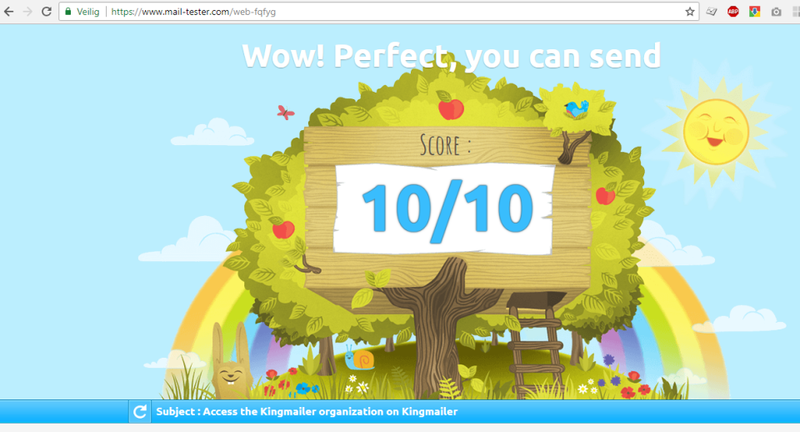 Overall: Used Kingmailer for big email marketing campaigns. Loved it than any other available tools. Its really great than Mailchimp. Pros: It is a simple software that does what it promises, sending email marketing campaigns at a low price. Cons: Comparing the price with the competition we can see that it is economic. For this reason we can not demand as much as others. Putting aside this aspect, we can not expect a great deliverability rate with this program. Neither spam filtering nor very sophisticated features. Overall: We have used this program to send small email campaigns where we are sure of the quality of our contact database. It has worked to reduce costs since it is lower than other market options. 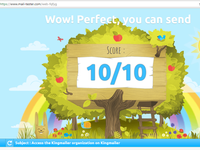 I've recently started using Kingmailer, First impression is good! It does as it should. Pros: Simple User Interface, Easy to use, Multiple applications (lists, etc. ), good basic reports on conversion per campaign. Cons: Lacks certain marketing tools still. It could use some further development, like a tracker (e.g. pixel placement) that shows recipients your product/company as soon as they go on social media or google. Overall: It's good value overall.